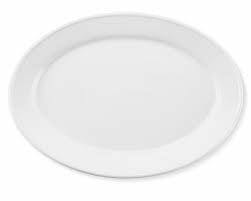 16″ White Serving Platter is a classic serving piece for any buffet served event. This platter is a good size for communal tables, buffet lines, and servers. The white china design suits most event decor and is large enough for most dishes. *Images are for reference only. Actual item rented may vary.